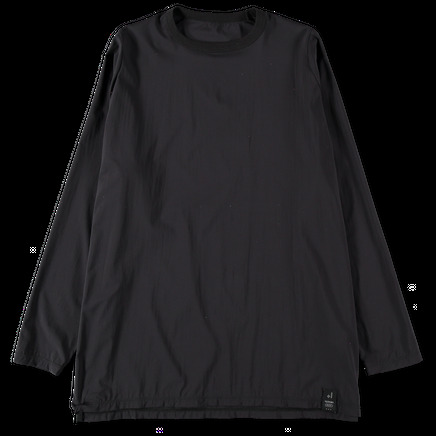 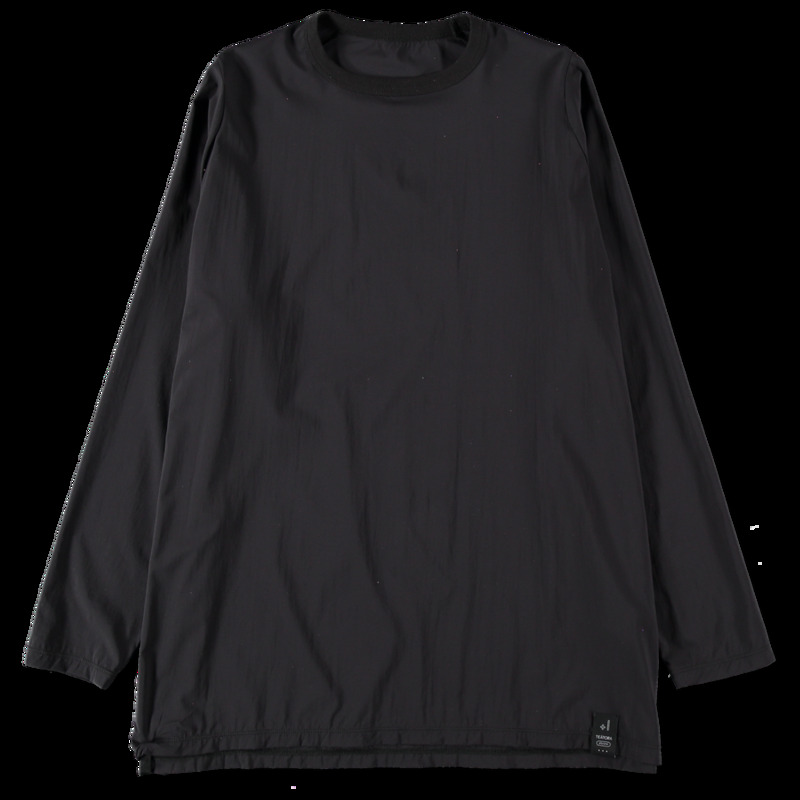 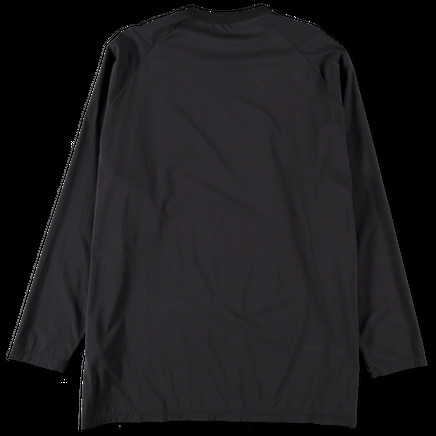 Oversized longsleeve in a super lightweight poly fabric. Quick drying and moisture wicking. 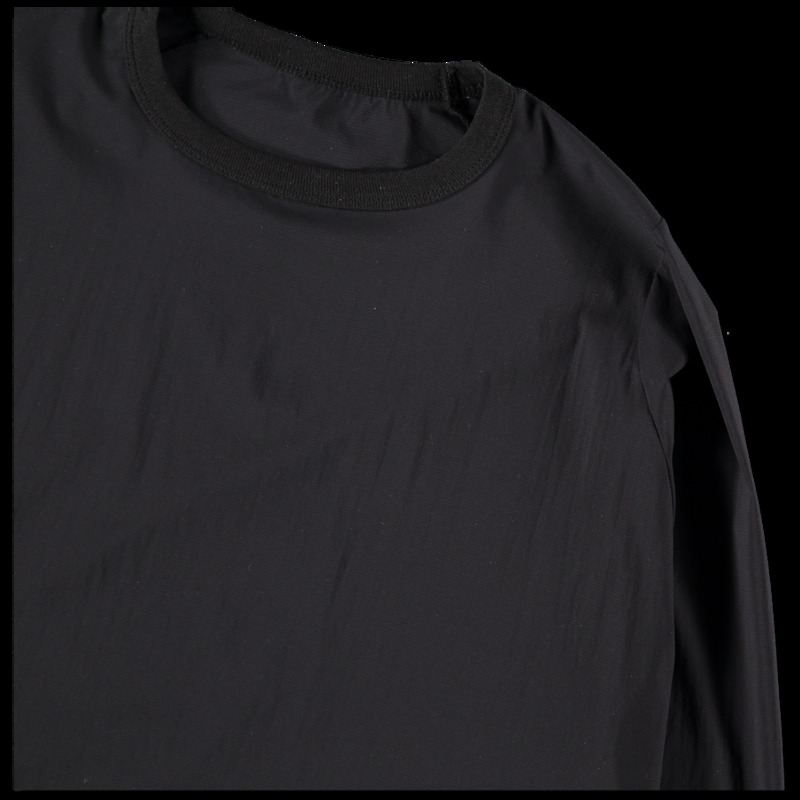 Regular front shoulder and raglan back. 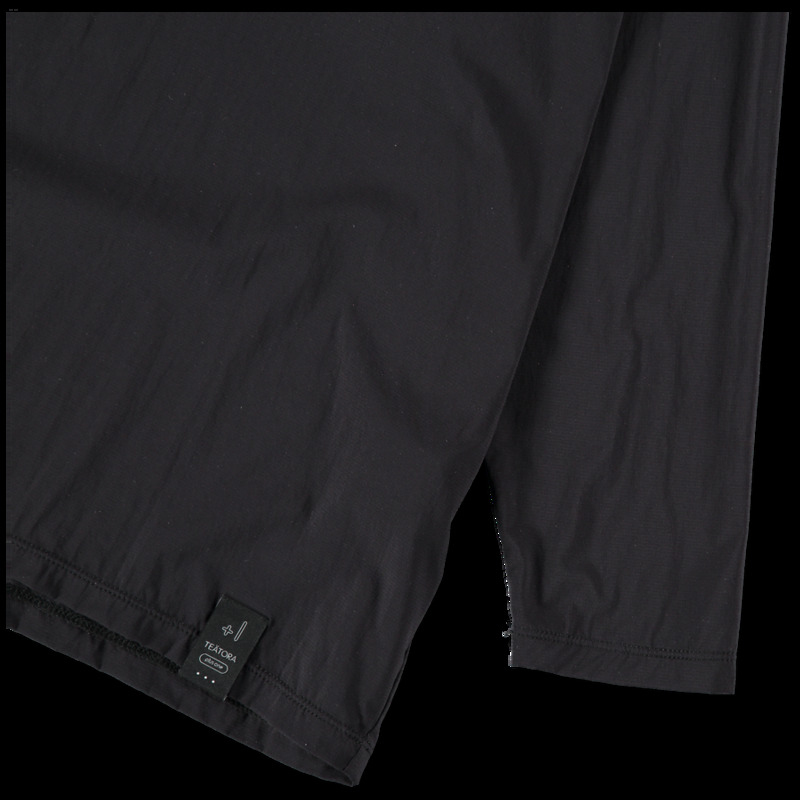 Straight hem with small woven branding tab.